Cover image via LDS Media Library. Of all the ages and places we could have been born, this is a most unique time to be alive–a momentous era in human history. Why? Because this is the time when everything comes full circle. Zion, which was established on the earth in the beginning, and was taken into heaven, is now returning and will be established once more on earth before the Second Coming of Jesus Christ. That means that every doctrine, every ordinance, every principle, and possibly every temple that has ever graced this earth, will be brought back–reestablished and restored once more–never to be lost again. Furthermore, even more will be revealed than has ever been known before. As the Lord declared to the Prophet Joseph Smith in Nauvoo in 1841, it has been His purpose all along to “reveal unto my church things which have been kept hid from before the foundation of the world, things that pertain to the dispensation of the fullness of times“ (D&C 124:41). These truths are coming because of an increase of faith among the Saints. “The Gospel of Jesus Christ is truly inexhaustible. …These divine disclosures are not democratically dispensed because such things are ‘made known unto them according to their faith and repentance and their holy works’ (Alma 12:28-30 and 2 Nephi 1:10)” (Elder Neal A. Maxwell, “The Inexhaustible Gospel,” BYU Devotional, 18 Aug 1992). And nothing–no person, no power–can stop this restoration. “What power shall stay the heavens? As well might man stretch forth his puny arm to stop the Missouri river in its decreed course, or to turn it up stream, as to hinder the Almighty from pouring down knowledge from heaven upon the heads of the Latter-day Saints” (D&C 121:33). As Joseph Smith declared: “The Standard of Truth has been erected. No unhallowed hand can stop the work from progressing” (History of the Church, 4:540). It was revealed to Joseph Smith that the Saints in every previous dispensation were shown our time and looked “with peculiar delight” on our day, and were “fired with joyful anticipation[s],” and longed to be here with us when the restored Gospel of Jesus Christ, as prophesied, will “sweep across the earth as with a flood to gather out the elect from the four quarters of the earth” (see Teachings of Prophets of the Church–Joseph Smith, chapter 15; originally published in Times and Seasons, 2 May 1842. See also Daniel 2:44 and Moses 7:62). Our day is one packed with prophetic fulfillment, as Elder Robert L. Backman of the Seventy so strikingly testified: “The Restoration is real and it’s gathering steam now to fulfill its destiny!” (Ensign, Jan 2001). Elder Neal A. Maxwell similarly affirmed: “You will live in a time when instead of just talking about prophecies that will sometime be fulfilled, many of them will actually be fulfilled. The Lord will unfold the future bit by bit” (Friend Magazine, Feb. 1984). Elder Maxwell also noted: “The Church has done many difficult things, and from these achievements one would not wish to detract. But all the easy things the Church has had to do have been done. From now on it is high adventure!” (Wherefore, Ye Must Press Forward (Deseret Book, 1977), 84; see also “The Old Testament: Relevancy Within Antiquity,” CES Symposium on the Old Testament address, BYU, 16 August). These coming years will be some of the most interesting times to be a member of The Church of Jesus Christ of Latter-day Saints because over the next two-and-a-half decades, we will celebrate the 200th anniversaries of all the important events in the life of the Prophet Joseph Smith and of the Restoration of the Gospel of Jesus Christ. Those celebrations begin next Spring (Spring 2020), with the bicentennial of the First Vision. For those of us who remember the sesquicentennial celebrations (150th anniversaries), it’s hard to comprehend that fifty years have come and gone. Those were great moments and hold some remarkable memories for those of us who witnessed them. But now, with bicentennial milestones coming, we have opportunities to create even more precious memories. What a time to be alive! Learn to live with dual vision. Our generation has to learn how to keep one eye open to things going on in the world, but to also keep an eye of faith open to observe the miracles of what the Lord is doing with His Church and Kingdom. Bicentennial celebrations will help us appreciate the Lord’s work more thoughtfully. The Savior declared that He would bring His Church “out of obscurity and out of darkness” (D&C 1:30), that His Kingdom would “become a great mountain and fill the whole earth…and shine fair as the moon, clear as the sun, and terrible as an army with banners” (D&C 109:72-73). The Savior sent His everlasting covenant into the world “to be a light to the world,…to be a standard for my people, …and to be a messenger before my face to prepare the way before me” (D&C 45:9-10). And He said that He will hasten His work (D&C 88:73) so that it could accomplished. 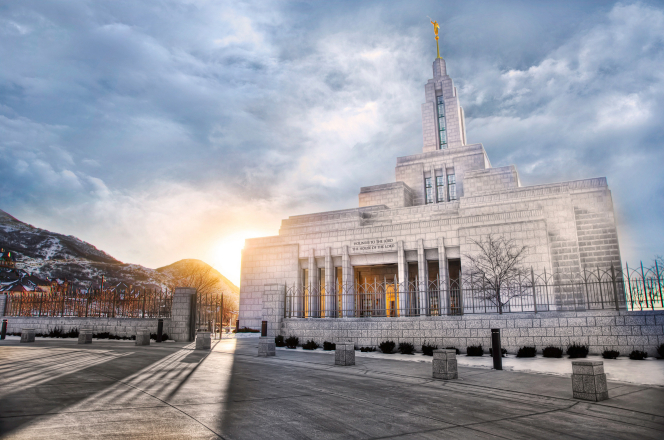 As President Russell M. Nelson said in a video last year, “If you think the Church has been fully restored, you’re just seeing the beginning. Wait till next year, and then the next year. Eat your vitamin pills. Get some rest. It’s going to be exciting.” We simply need to have anointed eyes (eyes enlightened by the Spirit) to see and comprehend what is happening around us to better appreciate the times in which we live. Recognize that the Lord’s Timing is not just Right, but Perfect. Nothing spiritual is ever a coincidence. The fact that so many inventions have been poured out during our lifetimes is mind-blowing. My brother Mike sent me an article about how fast things have changed. Recently, a couple of youth were stumped and confused about how to dial a number on an “ancient” rotary phone (see Youtube: Watch Two Teenagers Try to Dial a Number on an Ancient Rotary Phone). For some of us, rotary phones are more than an ancient memory–they were reality for a good part of our lives! So why all the inventions now? Prophets have testified that Zion could not be established without these miraculous conveniences. In a devotional at BYU, given in 1935, Elder David O. McKay of the Twelve Apostles prophesied that in order for Zion to flourish, it would require us to “improve the means of communication until with radio in our pockets we may communicate with friends and loved ones from any point at any given moment.” That day is now here. When you pick up a smart-phone, you literally hold the world in your hands and have access to information, loved ones, and to teachings of church leaders, which previous generations could only dream about accessing. While we were celebrating the 150th anniversaries of church events, President Spencer W. Kimball said: “I believe the Lord is anxious to put into our hands inventions of which we laymen have hardly had a glimpse…When we have used the satellite and related discoveries to their greatest potential…then and not until then, shall we approach the insistence of our Lord and Master to go unto all the world and preach the gospel to every creature” (Regional Representatives’ Seminar, 1974). These many labor-saving devices simply belong to this dispensation. They are tools given to help the Saints have the time they need to move the work forward more efficiently than ever before. In response to a question about how we could ever do all that is expected of us, President Brigham Young replied that he was shown that “there would be many inventions of labor-saving devices, so that our daily duties could be performed in a short time, leaving us more and more time for temple work. The inventions have come, and are still coming, but many simply divert the time gained to other channels, and not for the purpose intended by the Lord” (as cited by Archibald F. Bennett, “Put On Thy Strength, O Zion!” Improvement Era, October 1952, 720). Enoch foresaw the time when truth and righteousness would “cover the earth as with a flood” (Moses 7:52). Elder David A. Bednar challenged the Saints to help sweep the earth with righteousness: “My beloved brothers and sisters, what has been accomplished thus far in this dispensation communicating gospel messages through social media channels is a good beginning—but only a small trickle. I now extend to you the invitation to help transform the trickle into a flood. Beginning at this place on this day, I exhort you to sweep the earth with messages filled with righteousness and truth—messages that are authentic, edifying, and praiseworthy—and literally to sweep the earth as with a flood. I pray we will not simply participate in a flash flood that rises swiftly and then recedes just as rapidly. I am not suggesting a one-time glitzy initiative from which we quickly move on to the next task on our lengthy list of gospel things to do. We need not become social media experts or fanatics. And we do not need to spend inordinate amounts of time creating and disseminating elaborate messages. …According to our desires and circumstances, each of us can contribute consistently to the growing flood of truth and righteousness. We should press forward using the Lord’s pattern of “line upon line, precept upon precept, here a little and there a little” (2 Nephi 28:30). Imagine the impact we can have as hundreds of thousands and millions of members of the Lord’s restored Church contribute in seemingly small ways to the rising floodwaters. May our many small, individual efforts produce a steady rainfall of righteousness and truth that gradually swells a multitude of streams and rivers—and ultimately becomes a flood that sweeps the earth. “Wherefore, be not weary in well-doing, for ye are laying the foundation of a great work. 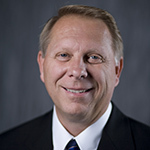 And out of small things proceedeth that which is great” (D&C 64:33)” (“To Sweep the Earth as with a Flood,” BYU Education Week, August 19, 2014). Joseph Smith declared that with our help or without it, it’s going to happen (so why not catch the wave! ): “The truth of God will go forth boldly, nobly, and independent, till it has penetrated every continent, visited every clime, swept every country, and sounded in every ear, till the purposes of God shall be accomplished and the Great Jehovah shall say the work is done” (History of the Church, 4:540). Such a thing is now possible because of the marvelous inventions in communication, travel, and technology that have been revealed during our lifetime. Stand by the very Foundations of our Faith. “There are for the Church and for its members two prime things that may not be overlooked, forgotten, shaded, or discarded. “First, that Jesus Christ is the Son of God, the Only Begotten of the Father in the flesh, the Creator of the world, the Lamb of God, the Sacrifice for the sins of the world, the Atoner for Adam’s transgression; that he was crucified; that his spirit left his body; that he died; that he was laid away in the tomb; that on the third day his spirit was reunited with his body, which again became a living being, the Firstfruits of the Resurrection. “The second of the two things to which we must all give full faith is that the Father and the Son actually and in truth and very deed appeared to the Prophet Joseph in a vision in the woods; that other heavenly visions followed to Joseph and to others; that the gospel and the Holy Priesthood after the Order of the Son of God were in truth and fact restored to the earth. . . .
“These facts . . . must stand unchanged, unmodified, without dilution, excuse, apology, or avoidance; they may not be explained away or submerged. Without these two great beliefs, the Church would cease to be the Church” (in Educating Zion, pp. 15-16). Today we need to remember to do as the Lord counseled, have faith in Him and stand by His servant Joseph Smith (see D&C 6:18; 42:1–2; and 43:1–3). David O McKay's comment about a "radio in our pockets" is found in the Improvement Era, 1935 Vol 38, No. 4, p. 227. You can find this on-line at Archive.org, American Libraries, Church History Library under Improvement Era. The church uses this web site to archive much of its publications. Virtually every conference report is available there. Note to self: Buckle up and take your vitamins! Thanks for always being the teacher. I appreciate it every time you open the vault and share the hidden gems.